New Zealand Alpine Lavender is a beautiful certified organic lavender farm, found only five minutes’ drive from the State Highway 8 turnoff on the scenic road to Aoraki/Mount Cook, New Zealand’s highest mountain. 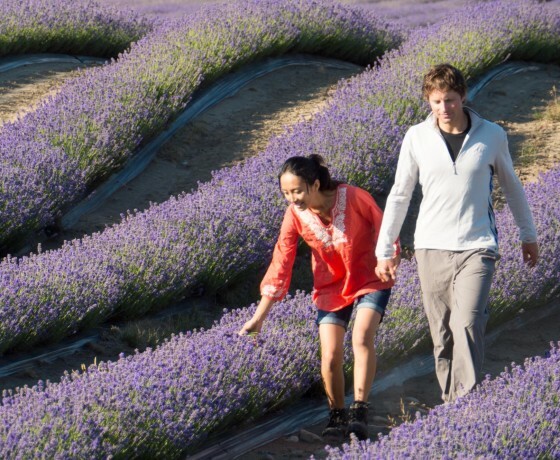 Nestled under the majestic Ben Ohau mountain range, the largest certified organic lavender farm in the Southern Hemisphere is a true labour of love. 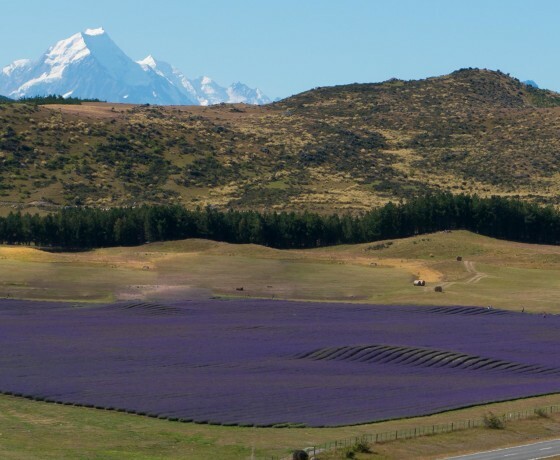 Allan Tibby and Blake Foster, the visionary founders, maintain that the 600 meter altitude is the main reason their award-winning lavender oil is some of the purest and most potent in New Zealand. 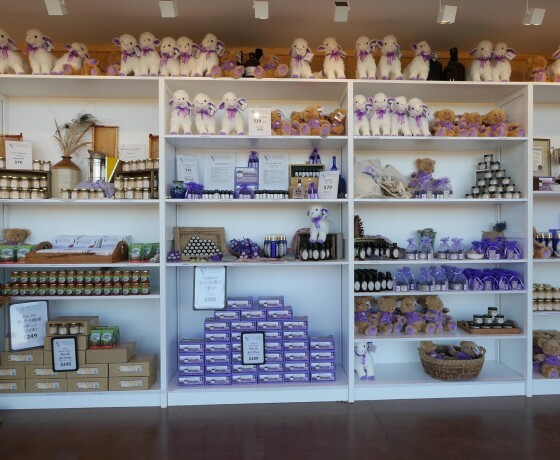 A lovingly cultivated farm in a natural, pristine environment of crystal-clear skies, snow-capped mountains, turquoise rivers, and lakes of glacial melt. 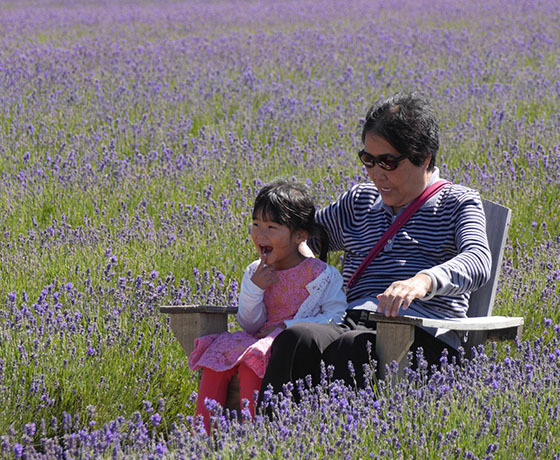 Gates open from December – March. 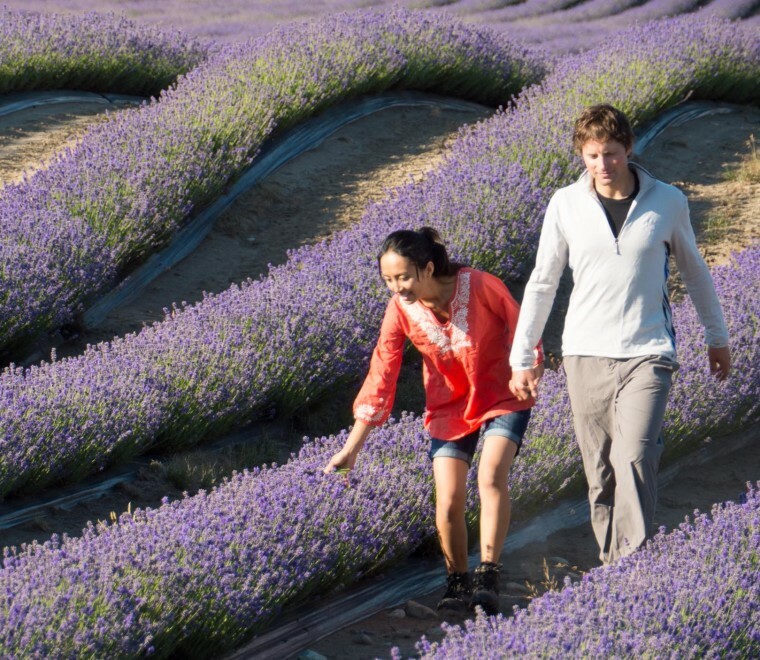 How to find New Zealand Alpine Lavender Farm? 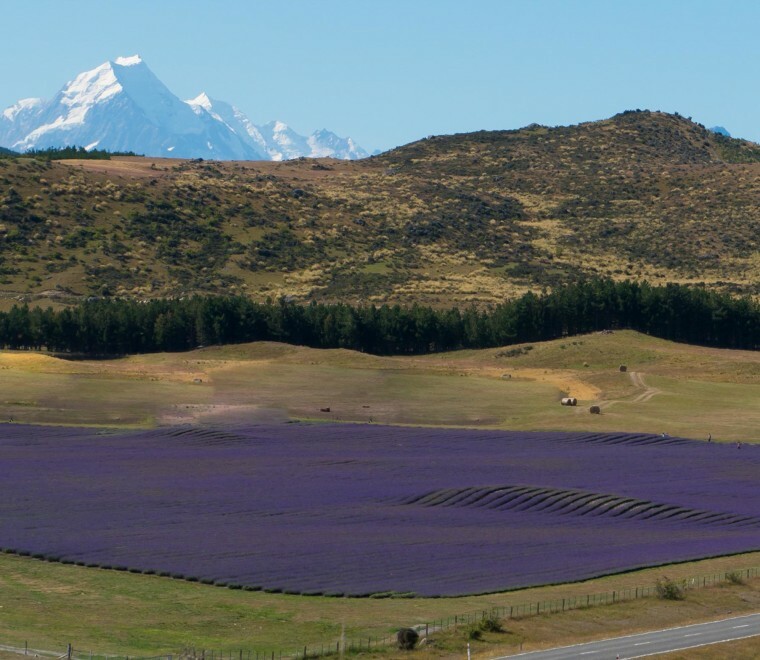 Located on State Highway 80 (Mt Cook Highway), 6 kilometres from the State Highway 8 turn off to Aoraki/Mount Cook Village.